Our school is a "Gymnasium" which leads to the "Abitur", which means that the students are allowed to study at an university. Our student’s age is from 10 to 18 years. We have no special focus. From the beginning our students learn English. In the second year at an age of eleven they can choose between Latin and French. During the last three years they can choose a language or a science focus. In case they choose a language focus they study Italian language in general. Our secondary school is characterized by a high percentage of migrants who grow up with a diverse cultural background. Many families are not able to provide a great variety of cultural activities at home and abroad. Therefore the students live in a modern multicultural world, but unfortunately have few opportunities to reflect upon this diversity and to research cultural traditions. The school tries to include different aspects of culture and geography into its everyday life at various occasions. A special course is taught on the subject of European geography, history and cultural and political unity. The focus is on aspects which unite rather than distinguish. Since it is more common for our students to focus on differences in their daily life it is our intention to use this project as an opportunity to illustrate similarities of various European countries concerning science, economy, technology and cultural traditions. The Comenius project offers a unique chance for many (financially disadvantaged) pupils to encounter traditions which are new to them and to broaden their understanding of rituals, traditions and cultural heritage in Germany and in Europe. Situated in the outskirts of the capital city, our school is in a non-disadvantaged area. However, as far as the catch up area is concerned, it is worth mentioning that our pupils come from a social background which includes families of various economic status. Through this partnership, our pupils are expected to work together as well as with other pupils from the participating countries something which will increase awareness and tolerance and lead to the European citizenship. Moreover, working through a foreign language will enable them to master the language better and, at the same time, learn how to work on a project and solve arising problems something which will enhance their learning skills more. Lastly, the contact with other people with various cultures and tradition, will benefit not only our pupils but our school and local partners as well. Our school is a Junior High School located in Heraklion, at the north east of Crete. The school embraces a part of the city which is considered underdeveloped in terms of infrastructure and regional advancement. An attempt to support the unprivileged students is undertaken through fund raising actions throughout the year. In addition, there are young learners who hold an immigrant background while others display learning difficulties. For this reason we operate induction as well as learning disability courses to support students who experience difficulty in the learning process. The aforementioned teenagers undoubtedly have very few opportunities to travel abroad and exceed the limits of their community. Their involvement with the program will help them broaden their perspectives and develop their skills and talents. With regard to school facilities there is a chemistry laboratory, a library and two specially equipped computer rooms. Extracurricular activities are encouraged. Some of them involve an Environmental Club, a school newspaper, a Film club as well as participating in the English Language Festival. Despite its small size our school does not lack the inspiration and the enthusiasm to be engaged in stimulating new projects. Our school is situated in Gaziantep,Turkey. It is in the south-east of Turkey. Gaziantep is an industrial town which is improved with its social, economical and cultural directions .There is a good economical development, especially in the carpet ındustry, food industry and in the other different things. Because of this, in recent years the migration has increased.So people from different cultures communicate with each other in a peaceful way. Gaziantep is also a gourmet city. In Turkey and even in the world Gaziantep's foods and deserts are so popular.Gaziantep city has a rooted history and there are many museums like Zeugma Museum (it is the biggest mosaic museum in Middle East Region), War Museum, Kitchen Museum and on.These historical places are so popular for people which are related with ancient and different cultures. Our school was founded in 2000. For this reason,it is open to news. It is located in the city centre.There are 50 teachers and 1000 students at the age of 14 to 18 and there are 28 classrooms, a computer laboratory, a physic ,a chemistry and a biology laboratory, a canteen and a library.There are several activities that are done such as sport activities; football, basketball,badminton,wrestling and cultural activities; theatre, poem competition and spring festival. Our students win good scores in different competitions. Most of our students are interested in participating different events and projects, so this project will give them the opportunity to get know their friends from different countries ,cultures and languages . Furthermore they will learn more things with this project . Our students are clear to intercultural exchange for developing co-operation ,communication, tolerance, positive emotional expression about cultures and languages so that each student wants to take advantages of talents. This project is available for our students. They are disadvantaged young people .because they have no chance economically to go abroad. But they are so eager about different languages and cultures and they are excited about this project. It will impress their psychological and physical developments.We sure that they will learn new methods by project's activities.In conclusion, we believe that our teachers and students notice being Europe Citizens by this project. Gorna Oryahovitsa is a town in northern Bulgaria. Province, not far from the city of Veliko Tarnovo. Vicho Grancharov Secondary School was founded in 1822 and is one of the leading schools in Gorna Oryahovitsa. There are 605 students and 76 staff. Students, 1-12 grade, are 6-19 years of age. When students finish the seventh grade, they are chosen by means of exams, carried out at a national level. There is a variety of majors, they can choose from - Modern Languages (English, German, Spanish, Russian), Information Technologies and Arts. The teachers are highly qualified in their respective fields. Both students and teachers often receive prizes for their accomplishments on national and international level. The school is fully-equipped with facilities, needed for the qualitative education and training process. The school takes part in a lot of European projects. There are various extracurricular activities, whose purpose is to develop the knowledge, abilities and talents of the students. Among these are individual work with gifted students in the fields of foreign languages and Art. 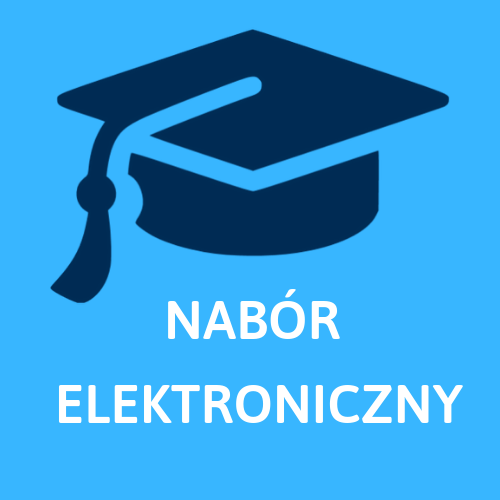 The use of ICT in our school is at a high level, we have an Informatics and Information technologies team of students, who takes part in national competitions and Olympiads and wins prizes. A large number of our graduates continue their education in prestigious universities in the country and abroad. Students are of varied social and financial status, some of them are at the lowest economic level in society. The number of the ones coming from broken and step families is increasing every year. There are students with specific educational needs, who are at risk of social exclusion, due to some health problem- mental or physical. We also have migrant students from Turkey, Russia, and Scotland. The participation in the project will be the only chance for most of the students to travel abroad and will give the students a more open-minded outlook to the world; help them become tolerant, active members of the society with a sense of civic duty. They will also have the opportunity to embrace the European system of values and share the perspectives for development. Our school is an Ofsted outstanding school with around 1200 pupils. We are based in Sittingbourne which is a town in Kent. We have lots of agriculture on the outskirts of town. We are based on the main transport link to London. We teach pupils aged 11-18 and we teach a whole range of subjects. Our school is situated in the suburbs of Nîmes (6km from the town center). Nîmes as you may know has a lot of Roman monuments in particular an amphitheatre which is a tourist attraction. It is about 40 km from the sea and about 50 from the mountains. Most of our students come from the Camargue area, which is also quite nice. Plenty to do and see around here anyway. The school itself is about 12 years old. It has about 1600 pupils and 135 teaching staff. We teach kids from 15 to 18 till they sit the final exam, the baccalaureat. We also have 3 years of further education. It offers boarding facilities for the students. The students are usually nice. Most of them don't come from a wealthy background but they are interested and pleasant. And the teachers are nice too, of course! Zespół Szkół w Iwoniczu is a secondary school located in the south - east of Poland, in a beautiful, industrially unspoiled countryside. It is the school with over 100 years' traditions and since 1998 it's placed in modern, spacious buildings with plenty of green gardens around. The school provides its students with fully - equipped sports facilities as well as the boarding school. The students are educated within three types of courses: Lyceum (ending with state secondary school exam), Vocational School and Technical Secondary School. The last one consists of 6 specializations, e.g. landscape architecture, agricultural mechanization, economics or food production and customer service (with the faculty of enotourism - the branch of tourism connected with growing vineyards and the production of wine). Students of our school mostly come from families of low and very low economic status, usually from the villages located within 30 km from Iwonicz. Many of them are from numerous families that live from farming. Sometimes one of the parents lives abroad to earn the living. In the school there is also a group of students with special needs. They are given both psychological and educational help (extracurricular activities). Despite social and economic problems of the students, the school achieves great results in sports and technical competitions. As a result, many students get scholarships that enable them develop their skills. The participation in international project would be a great chance for many talented, but poor students to meet new cultures and broaden their knowledge. They could learn how to co-operate with others, especially in a foreign language and with the use of modern technologies. Such partnership would prove them that what matters is knowledge, not the social and economic background. Liceo linguistico Sophie Scholl is a high school for students aged 14-19. We have a comprehensive curriculum but our main focus is the learning of foreign languages and cultures. Our 940 pupils study three languages: English, German plus a language chosen among Russian, Spanish, French and Chinese. Furthermore, some subjects are taught in English and German. Students come of different social backgrounds and many live in the valleys around the city. The school is at walking distance to the town centre. Our town, Trento, (110,000 inhabitants) is set in a valley surrounded by mountains and close to many lakes. In the last 20 years the town has experienced a rise in immigration, which can be observed in our school's composition, with 8 % of students coming of migrant families, a percentage which is likely to increase in the next years. The school is a lively learning community which values every culture and language and whose aim is to foster knowledge and mutual understanding. Our many CLIL experiences are aimed not only at developing language competence, but also at tackling school subjects in different perspectives, thus increasing awareness of a European dimension to teaching and learning. We want to offer our students the opportunity to work with European partners in meaningful ways, dealing with issues that we all have to consider in our modern, challenging and also interesting times. By building a network of European schools working together on a common project, we will be able to enhance our students' knowledge of global issues while developing respect for other cultures and languages together with a greater awareness of their own cultural identity. Finally, we will also pave the way, among other things, for individual mobility, which is in our opinion a great opportunity for both teachers and students, allowing them to fully experience life and culture in another country. Athénée Royal de Ganshoren is a multicultural school in Brussels Capital Region. Ganshoren is one of the 19 communes of the capital. The students are from +/- 35 different origins. There are about 900 students in the secondary school and 500 in the pre-primary and primary school. They are 12 up to 18 years old. Almost all the students live in Brussels. It's a mix of Belgian students, migrants from the third or fourth generation and newly arrived ones from all over Europe and Africa. French is not the first language for most of the students. To keep the students on track, the school organises homework help and a large remediation programme. A part of the students have to face discrimination and social exclusion (origins, religion, employment...). Brussels is facing an important increase in its population which is the youngest in Belgium but which also has the highest level of unemployment (20%). The participation in the Comenius project is important for the students because it will show them that they are Europeans or NEW Europeans and that they all together create the "European identity"